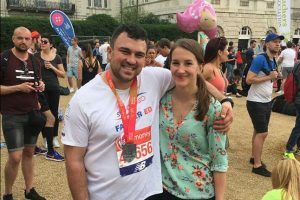 Ed Smith ditched his wellies for trainers at the weekend to tackle the world-famous London Marathon on the hottest day in its history. 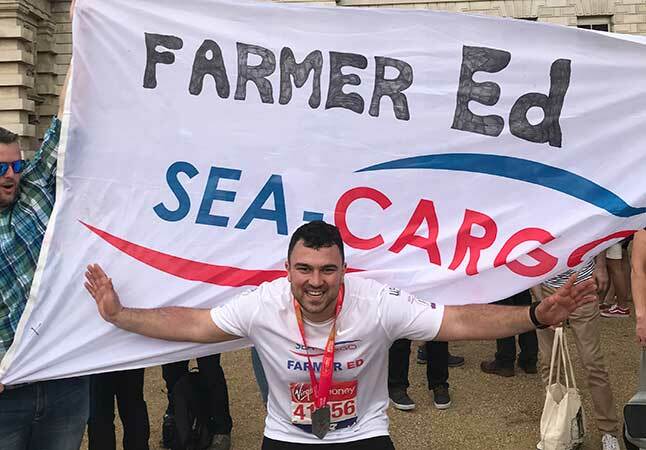 He made it to the finish line after 26.2 miles in a fantastic effort, raising more than £5,000 for charity in the process. He was running as Ed The Farmer to support the Lincs and Notts Air Ambulance. His supporters have included Sea Cargo, his main sponsor, as well as many people from the local community and lots of our customers too. All of the money raised will go to help keep the Ambucopter in the air, providing its lifesaving service across the East Midlands. At the last count his fundraising total was £4,150 – well beyond his original target of £2,500. Thank you to every one who donated.